A new study suggests that Botox, or botulinum toxin, may offer successful relief for neuropathy, not just one form, but two. 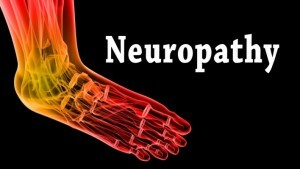 Nerve damage causes neuropathy and can result in either shooting pain or loss of feeling in the hands and feet. In the study, the botulinum toxin resulted in a lasting reduction of pain. Also, they investigated the effects of local versus spinal injection of botulinum toxin B (Botox B or Myobloc). The Food and Drug Administration approves Botox-B for medical uses. If you have concerns regarding systemic diseases such as neuropathy and their effects on the feet, consult with one of our podiatrists from Foot HealthCare Associates. Our doctors will answer any of your foot- and ankle-related questions and provide you with the treatment you need. Gout is caused by an excess of uric acid in the body. Some common symptoms include pain, inflammation, and redness at the metatarsal/phalangeal joint of the base big toe. NSAIDs can treat gout by relieving pain and inflammation and other drugs which lowers the acid levels in the body. Diabetes mellitus is an increase in the level of blood sugar in which the body cannot counteract with the insulin in the body. Finally, when the body doesn’t produce enough insulin this is a factor in Diabetes.